For your business, brand, product or service to stand out, trademarking is a critical component. Trademark registration not only protects your goods or services from copycats, but it also prevents re-branding, in the worst-case scenario. The process also helps protect intellectual assets that belong to you, while securing your rights. Considering the importance that registration of your trademark carries, it is critical that you get an intellectual property attorney to help you with the process. Below are the three top advantages of trademarking your brand in the U.S. Trademark registration offers your brand national coverage, meaning that you get exclusive rights to the name across the country. Another advantage is that once you register your trademark in the U.S., it propels your brand in good stead in case you want to register it in other countries. One of the things that many companies hate is dealing with a legal cease and desist letter for infringing registered trademarks. Trademark registration deters others from using your name, logo or intellectual property, in whole or part, for their own company, brand image or name. This is critical no matter whether you are offering a conventional or unique product or service. If introducing a new or unique product to the market, trademarking will deter copycats who may attempt to sell their products by riding on the success of yours. For conventional products with a unique selling point, trademarking helps by stopping other companies from using the reputation and good name you have acquired without offering you some form of reward. TM registration is especially critical if you are hoping to one day include a licensed re-seller or franchise aspect to your brand. The business name is the biggest, single most valuable asset you have; it exemplifies your strengths, and it is your identity in an already crowded marketplace. By trademarking your brand, you can quickly determine how others use it on a license. This will help prevent your brand’s name from being inappropriately used or displayed in a manner that could be considered unbecoming of what your business stands for. As your service, product, business or brand becomes successful; the trademark itself earns its own intrinsic value. Potential business investors will also assess whether you have taken the right legal trademark protection steps to secure your brand. 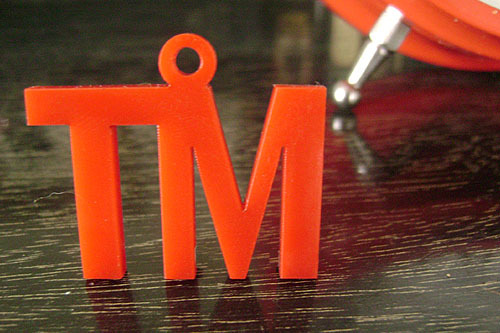 Besides, using the TM mark on your brand means that you are proud of your name, your business and willing to defend it.